Self-service kiosks developed by the eatPOS experts. We can develop a design to suit your branding and customer base, ensuring that you have a kiosk that stands out. Fully integrated with eatPOS EPOS. Manage both systems from one central location and back-office management system. Reduce queues and wait times in your busy business. Always ensure that you are in compliance with the latest directives on allergens and nutrition. Our kiosks support Android, iOS and WIndows systems, from tablets, to large, 42 inch terminals! Send orders to a dedicated kitchen screen, or different stations receiving with multiple screens that display certain items! The customer gets exactly what they ordered, no more miscommunication. Never miss an opportunity for upselling with automated prompts. Scroll through an eye-catching menu with beautiful pictures of your wonderful dishes and select what you'd like. Pay by cash at the counter or by card with the integrated PDQ machine. Collect your order at the counter or sit at a table and wait for your food! Forget old-fashioned printers. Our kitchen displays make your kitchen run more smoothly than ever. Have a drinks, starters, mains and desserts section and your kitchen staff can wait for orders to be sent to the correct screen with no intervention on their part. 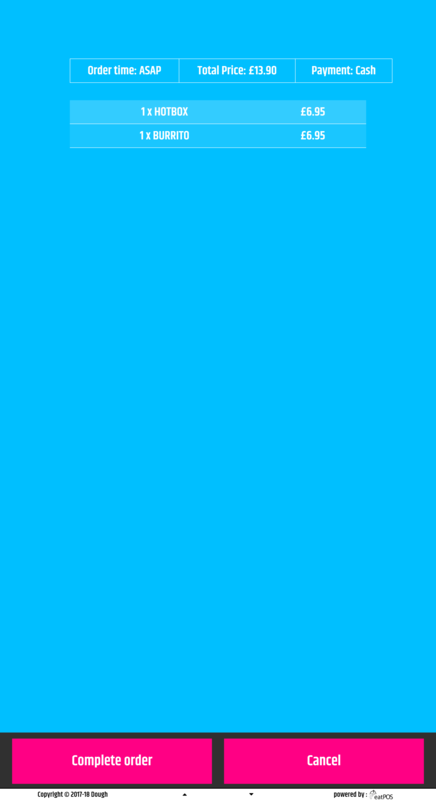 Clear screens with well-laid out information reduces the chance of error and mistakes. Manage orders with our touch-screen and intuitive displays that can be understood and learned in no time. 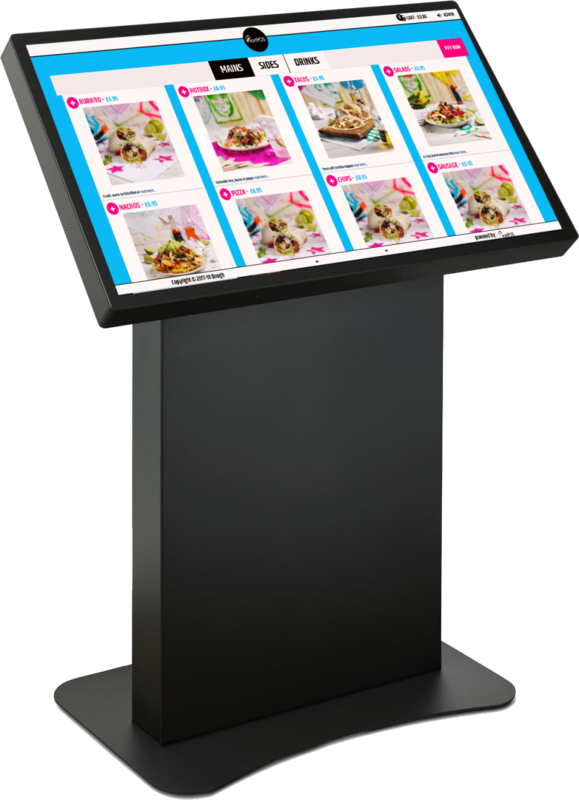 eatPOS Queue busting technology – Reduce time spent taking orders; with our kiosk systems, orders are placed at the kiosk and sent immediately to the EPOS and kitchen and either displayed on a kitchen display screen or printed! Let the eatPOS self serve kiosks make you more revenue at your quick service restaurant. With our suggestion driven ordering experience for your customer to increase check value. 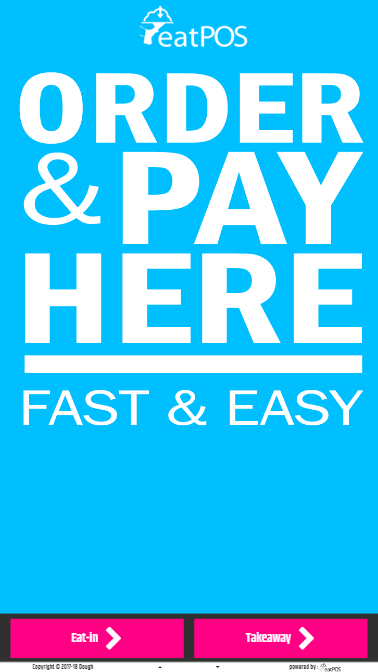 With various payment options – be it card/cash/contactless. The eatPOS self service also provides you the option to make your business cashless. Easy-to-use, with bespoke design available, our kiosks will fit your branding seamlessly. 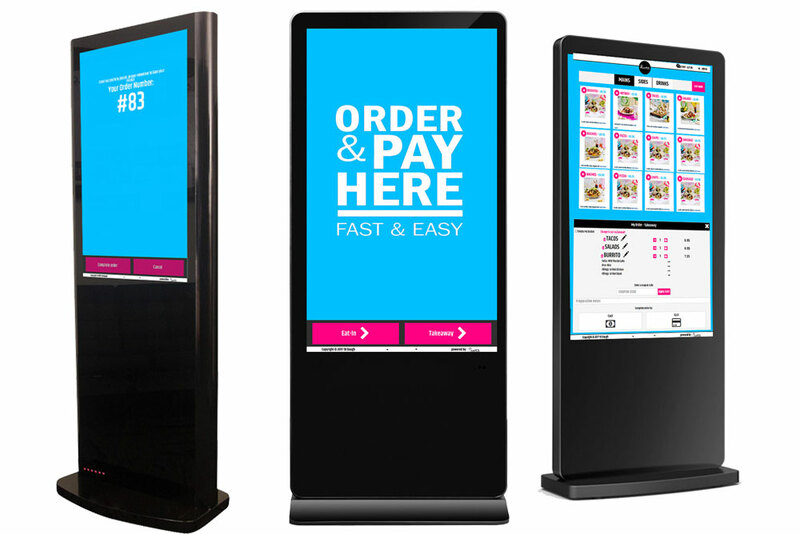 Whether its a tablet kiosk, wall mount kiosk, free standing kiosk – we cater for every solution and business of any size. 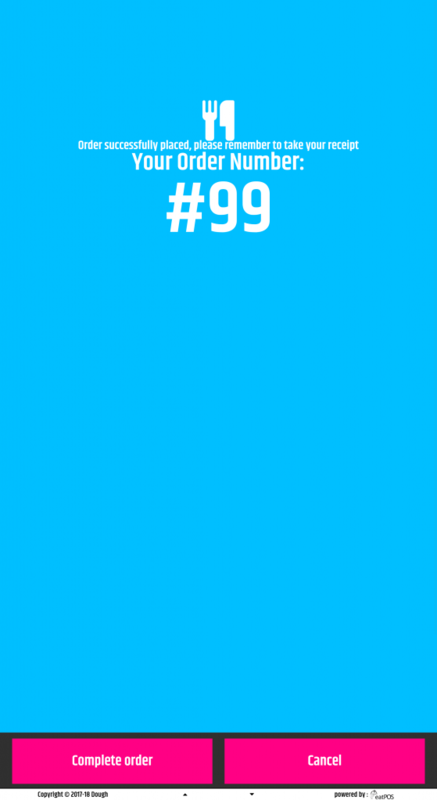 Suitable for QSR, Fast Food, Casual Restaurants, Cocktail Bars, Wine Bars, Leisure, Theatres, Hotels, Events, Casinos and NightClubs! 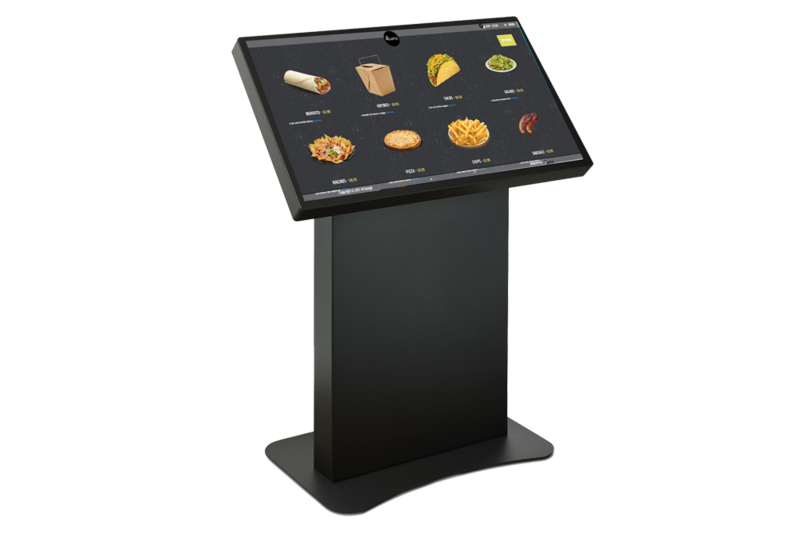 With many hardware options available and bespoke designs for both hardware and software, eatPOS ensures your kiosk replicates your brand, menu, and colour scheme accurately. We develop the design to suit your branding and customer base, ensuring that you have a kiosk that stands out. Allow customers to place their order quicker and allow your business to increase productivity. No more lengthy queues or complaints due to long queues. Customer’s can place orders at the kiosk and pay via an automated, guided process and proceed to collect their order! The kiosk takes into account modifications, allergens and upselling. Less time spent taking orders and more time serving customers and ensuring that they are happy! Staff that manually took orders previoiusly can now focus on tasks that improve guest experiences, and increase business performance. 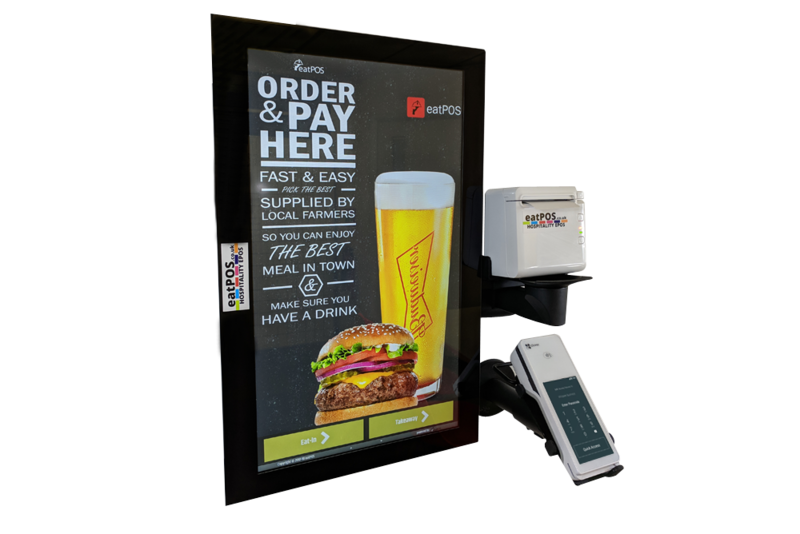 The eatPOS self service kiosk has also been designed to reduce human error, and ensure that orders are made precisely in accordance with customer requirements. Customers are satisfied with their orders and come back for more! Let the eatPOS self serve kiosks make you more revenue at your quick service restaurant. 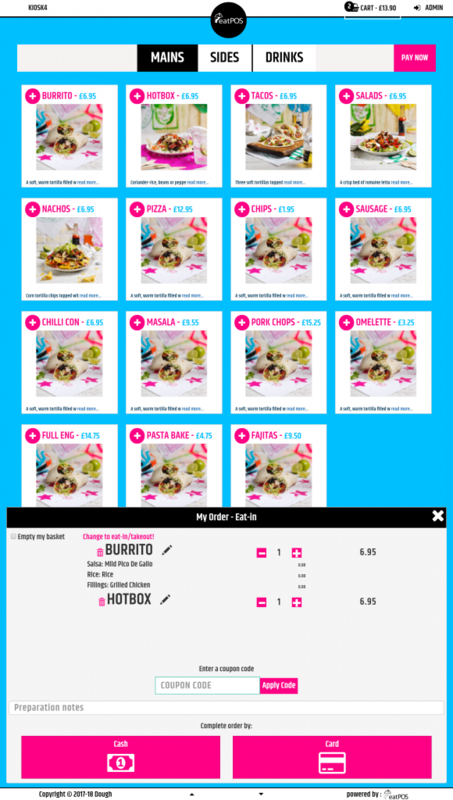 With our suggestion driven ordering experience, you can upsell with ease.